Mini Salted Caramel Cheesecakes | What's for Dinner? 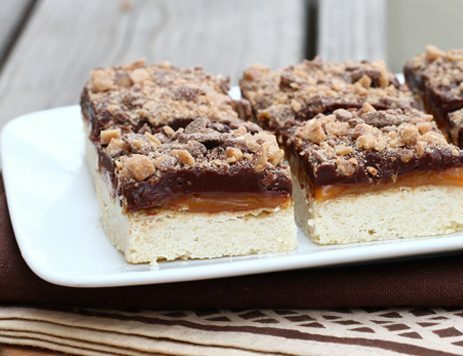 Cheesecake can be tricky, but these mini caramel ones couldn’t be easier! Preheat oven to 350º F. Line cupcake pans with 18 cupcake liners. Spray liners lightly with cooking spray. 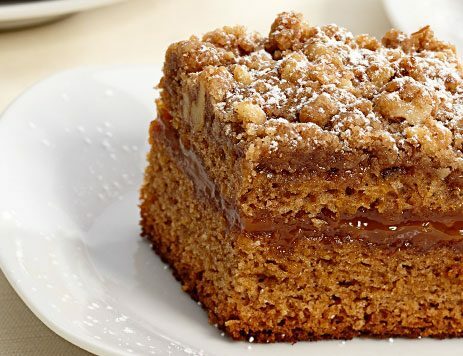 In a food processor, pulse the chocolate sandwich cookies into crumbs. Stir the melted butter in the crumbs and then press a tablespoon of the mixture into each cupcake liner. I used a milk jug lid to get the crumbs tightly pressed. Bake for five minutes and allow them to cool slightly before filling with the cheesecake. In a mixer, beat the cream cheese until completely smooth. Add the sugar and sour cream and beat until combined. Add the eggs, one at a time, and mix after each addition. Add the vanilla and mix. Spoon about two tablespoons of batter into each crust (I use a small ice cream scoop for this). Bake for 20 minutes. The centers will rise, but fall after cooling. Cool at room temperature for an hour, and then place them in the refrigerator for 2-24 hours. Before serving, remove the paper liners from the cheesecakes. Warm the Marzetti® Old Fashioned Caramel Dip for 20-30 seconds in the microwave. Stir caramel and then top each cheesecake with about 2 teaspoons of caramel. Sprinkle each with salt and enjoy!